Review It may look like an ordinary phone, but under the skin the 6220 Classic is anything but that. Nokia has crammed in much of the high-end features usually reserved for its Nseries smartphones. A 5-megapixel camera, featuring Carl Zeiss optics and a Xenon flash, sits on the back panel, while inside there’s A-GPS navigation technology for location finding and step-by-step satellite navigation. 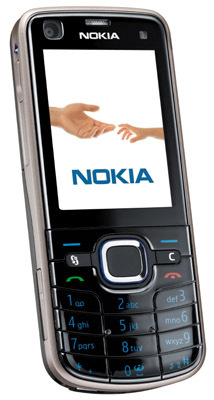 And like its latest Nseries stablemates, the 6220 classic runs on the Symbian v9.3 smartphone operating system, using Nokia’s S60 3rd Edition Feature Pack 2 user interface. High-speed data connectivity is provided by HSDPA speed 3G (with downloads at up to 3.6Mb/s), although one unfortunate absentee from the N82-alike spec sheet is Wi-Fi. Nokia has added software to facilitate online content sharing, though you have to use slower mobile network uplink connections rather than faster, cheaper Wi-Fi for uploading images and video. There are options for sending imaging content to supported sites including Flkr, Vox and Nokia’s Ovi service. Nokia has included its S60 music and video player suite, including RealPlayer multimedia player software, support for the Nokia Music Store downloadable music service, plus a full web browser.